Dr. Millard J. Bienvenu of Natchitoches passed away Wednesday, Sept. 27, 2017, with his family by his side. He was born Sept. 10, 1928, in St. Martinville to Charles Thimécourt Bienvenu and Leola Durand Bienvenu. He is survived by his wife of 59 years, Rowena Flynn Bienvenu; seven children, Dr. M. Germain Bienvenu of Baton Rouge, Rowena L. Bienvenu of Orlando, Fla., Joseph F. Bienvenu and Russel J. (Amy) Bienvenu of Natchitoches, Lauren A. Bienvenu of Baton Rouge, Kathryn L. (John) Hart of Orlando, Fla., and Richard W. Bienvenu of Baton Rouge; nine grandchildren, Brittany Malinozsky, Brandon Bienvenu, Slade Bienvenu, Cameron Bienvenu, Kelsee Bienvenu, Maria Bienvenu, Benjamin Bienvenu, William Hart and Christina Hart; as well as four great-grandchildren. 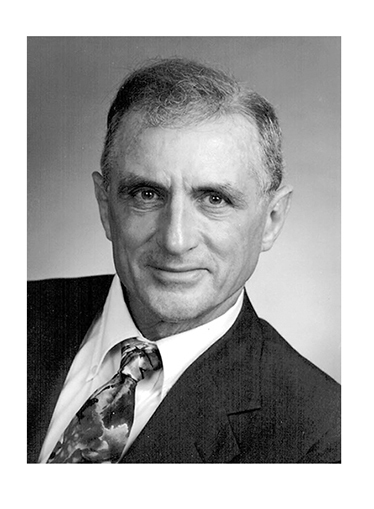 Dr. Bienvenu was a licensed clinical social worker, published author, professor emeritus and civic leader. After working in child welfare and juvenile probation in Lafayette and Baton Rouge, he began his teaching career at Nicholls State College in 1958 as an assistant professor of special education and social work consultant. He held the same positions at the University of Southwestern Louisiana from 1960-68. Upon earning a PhD in child development from Florida State University in 1968, he moved his family to Natchitoches, where he served at Northwestern State College and later University, first as head of the Sociology and Social Work Department and then as director of the University Counseling Center. Retiring from NSU in 1986, he established Northwest Counseling Service, from which he practiced counseling and psychotherapy until 2011. Over the years Dr. Bienvenu was affiliated with such institutions as the Lafayette Mental Health Center, Central Louisiana State Hospital, Briarwood Hospital, Charter Forest Hospital and River North Treatment Center. He served on many boards and committees on the local, state and national levels, including the Natchitoches Housing Authority, the Natchitoches Area Chamber of Commerce, the State Library of Louisiana, the American Heart Association and the National Commission on Marriage and Family Life for the U.S. Catholic Conference. He was president of the Natchitoches Kiwanis Club (1989-90) and a member of the Natchitoches Parish School Board (1998-2010). In addition to his many publications, he presented at major conferences across the nation. He was a veteran of the U.S. Army and the U.S. Navy and served in the National Guard from 1953-66. He was a member of Immaculate Conception Parish, where he once served as Eucharistic minister and lector. The family will receive friends from 5-8 p.m. Sunday, Oct. 1 at Blanchard-St. Denis Funeral Home of Natchitoches. Recitation of the Holy Rosary will be at 7 p.m. in the funeral home chapel Oct. 1. A Mass of Christian Burial will be celebrated at 11 a.m. Monday, Oct. 2 at the Minor Basilica of the Immaculate Conception Catholic Church with the Rev. Blake DeShautelle and the Rev. Louis Sklar serving as concelebrants. Burial will follow at American Cemetery in Natchitoches. Honorary pallbearers will be Archie Breazeale, Edmond Bulliard, Donald Gates, Joseph Cunningham Sr., Allen Viguerie, C. Thomas Bienvenu, Patrick Bienvenu, Levi Thompson and Roland Bienvenu Jr. The family wishes to extend their deepest gratitude toward Dr. Kathleen Kautz and Dr. Chris Ingram; caregivers, Rose Vaughn and Opal Payne, Harmony Home Health and Hospice of Natchitoches for the excellent care and compassion you gave to Millard and our family during such a difficult time. Next articleRinaldi: What would you do in the last hour of your life?